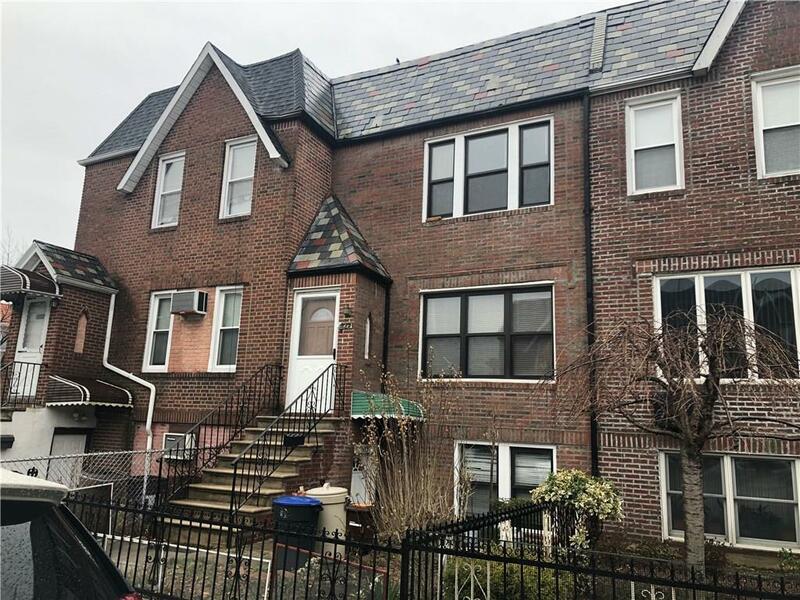 Single Family Brick Home located in Marine Park â Extremely Spacious Duplex Consisting of 6 rooms 3 bedrooms over a Walk-In Apartment Below. Equipped with a Detached Garage with a Community Drive in the Rear with additional Space for a Garden / Yard. Hardwood floors throughout. Home is well Maintained and Ready to Move in. Located Centrally for access to all Shopping and Transportation. Great home in a Wonderful Neighborhood. Won't last!